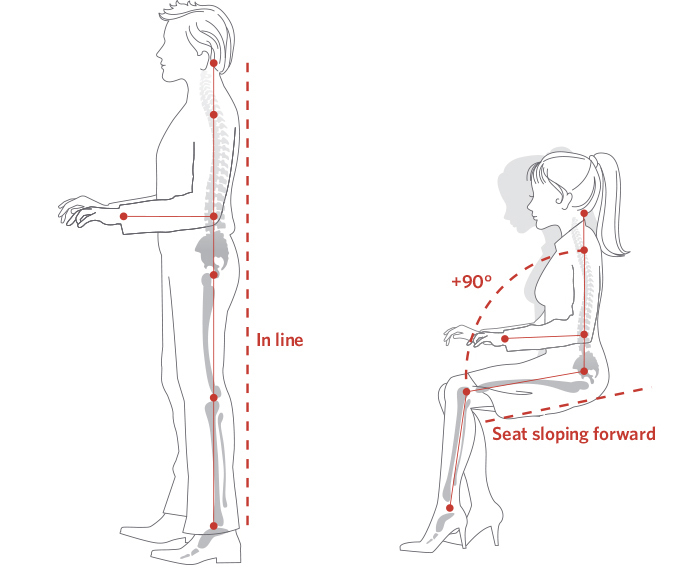 The four working postures above are examples of body posture changes that all provide neutral positioning for the body. 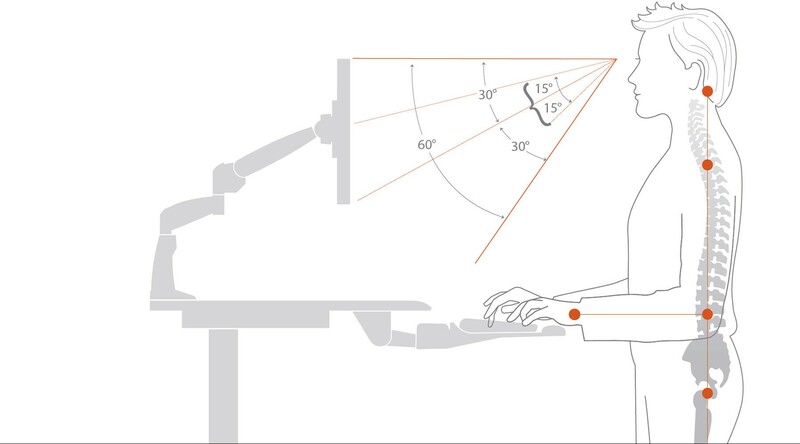 Your worksurface should be the right height for you. 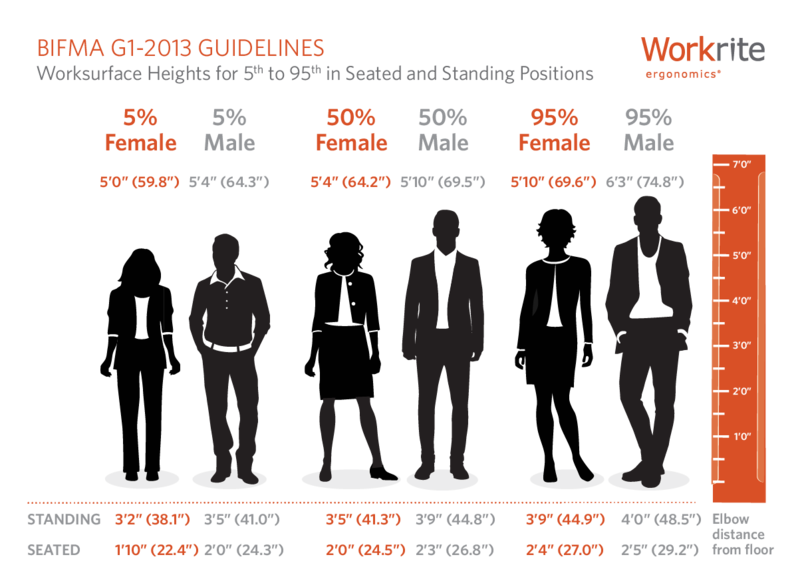 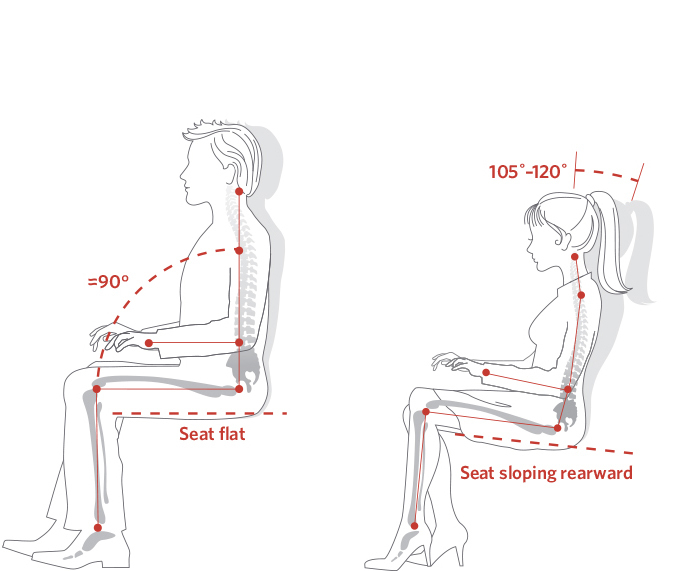 These guidelines show the proper worksurface height, standing and seated, whether you’re 5 feet tall or over 6 feet. 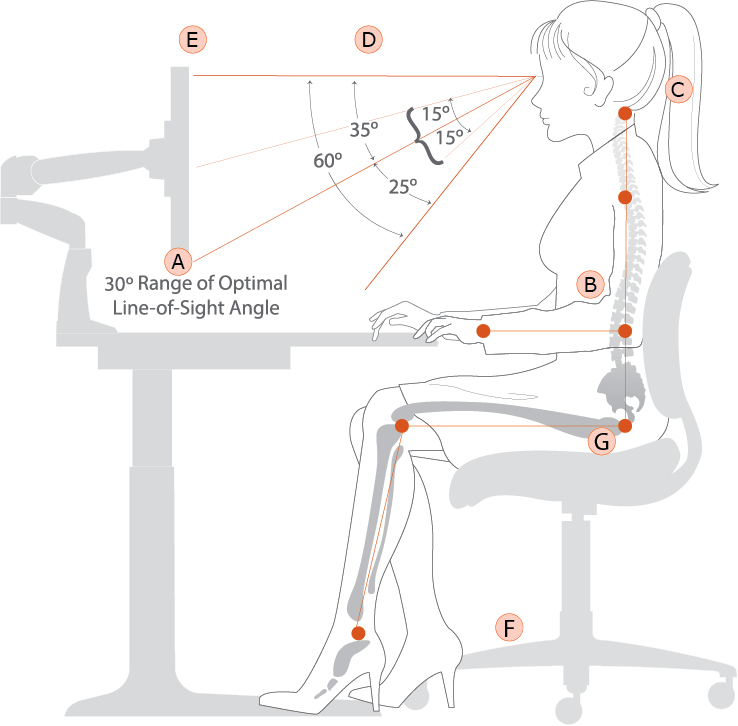 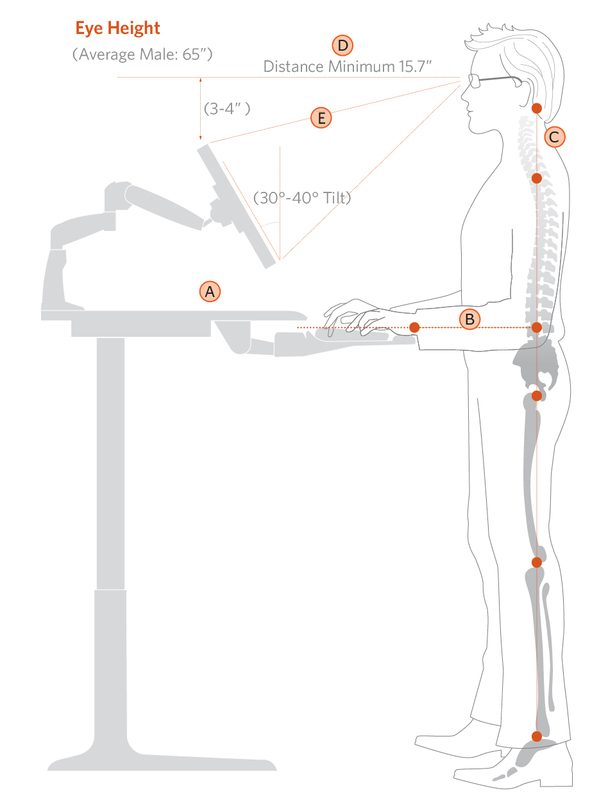 Make sure your desk is right for your body.